Beer Tote Plans | Now we're talkin.' | Wood. It's Real. | Wood. It's Real. What a great gift idea. For $10 (including the bottle opener) and an hour or two of work, you’ve got yourself this awesome DIY beer tote. Or soda. Or Water. Show it off to friends, family, coworkers, at your next gathering. Cheers. 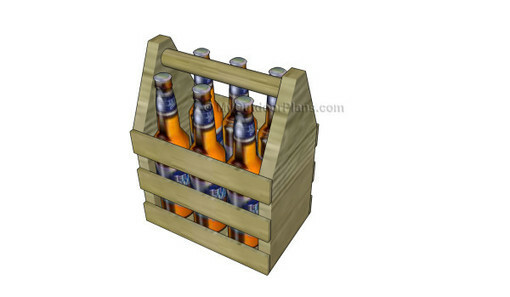 Click the link below for the super simple beer tote building plans.